Milton Lamb jumped at the opportunity to lead the REIT. Although dealership real estate investment trusts (REITs) have been prevalent in the United States for more than a decade, they are relatively new in Canada. A REIT purchases the real estate portion of a dealership and then leases it back to the dealership. 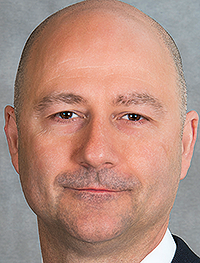 “This provides them with the financial liquidity to advance their individual strategic objectives, whether it be succession planning, directly investing in upgrading their dealerships, or to facilitate acquisitions during this period of industry consolidation,” says Milton Lamb, CEO of Automotive Properties REIT, the most prevalent REIT in Canada and the only publicly traded one. The Toronto-based REIT’s current portfolio consists of 30 properties, representing 28 automotive brands. Lamb is a commercial-real-estate veteran with many senior management positions under his belt.